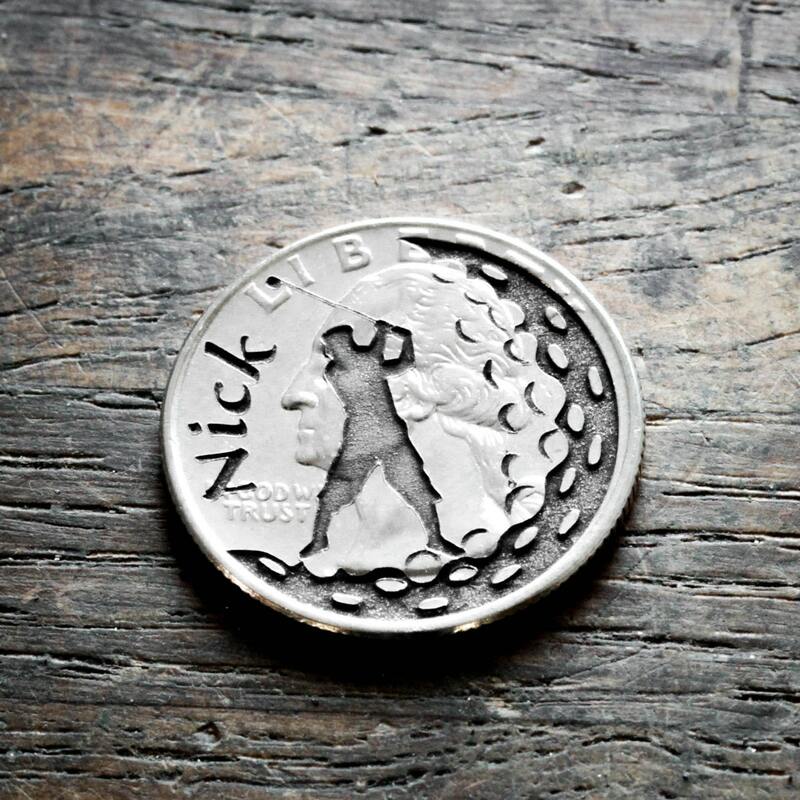 We will engrave your name and a golfer silhouette of a man or a woman onto a quarter. This engraving is deep and will last forever. 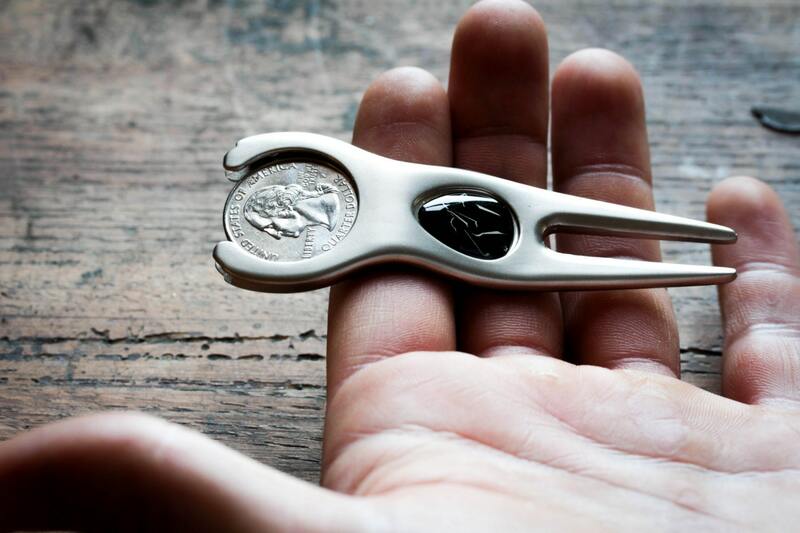 The Divot tool holds the marker and is very sturdy. We can do up to 11 letters for a name or we can also engrave a special date. 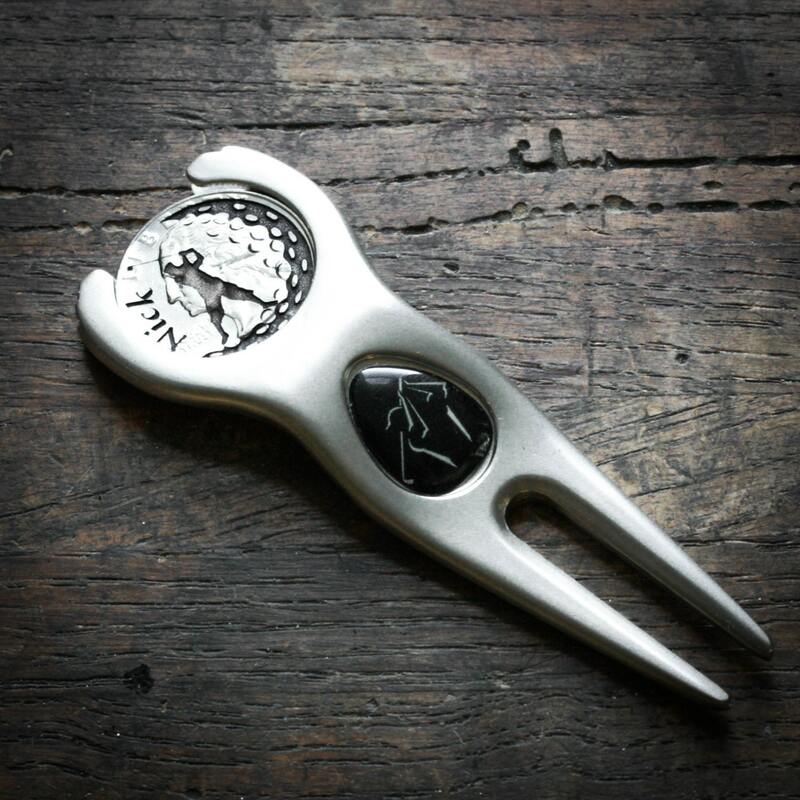 If you choose the 'Silver St. Qt, Divot' option, don't forget to let us know which state you want and we'll send you the divot tool as well. I was so thrilled with how this turned out! 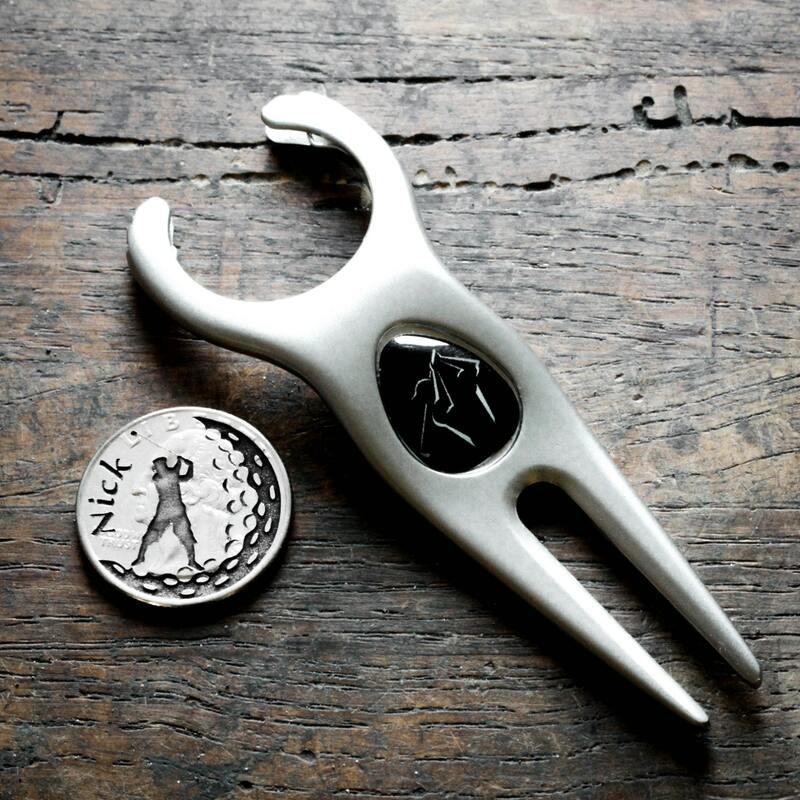 My father in law LOVED his personalized ball marker and divot tool! He was so proud showing it off to all his golfing buddies! The turn around on receiving it was so fast! Very pleased with everything about this product!